This is the season for gathering family and friends to celebrate and share festive cheer. 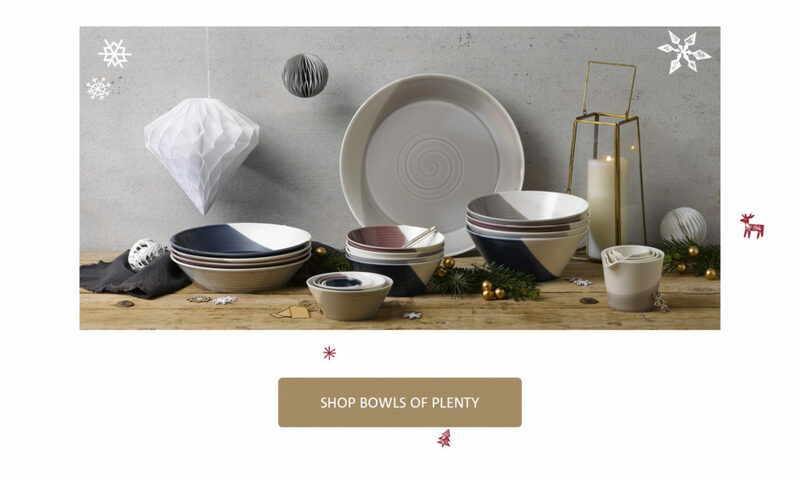 With a little help from Royal Doulton you can be the ultimate gift giver and impress everyone on your list with the perfect gift under the tree. We have shared some of our favourites that we know you will love too, from the Ellen DeGeneres festive range, to our beautiful glassware collections, all of which will bring a smile to a loved one’s face this Christmas. 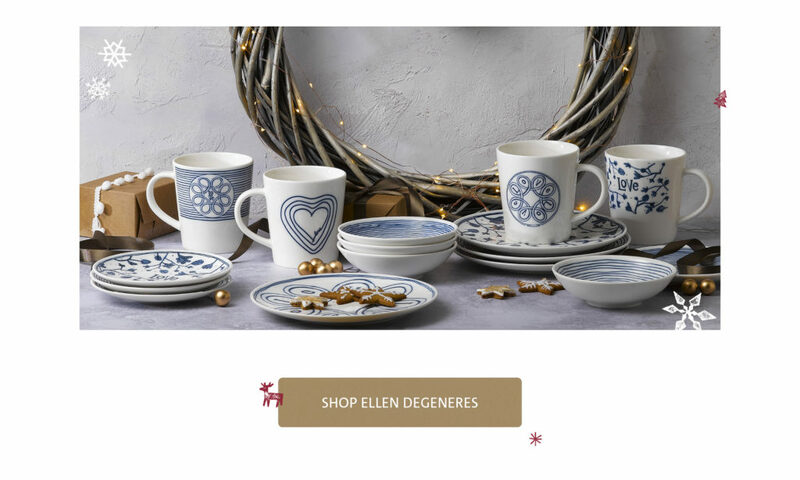 Taking inspiration from her love of animals and nature, each piece in the Ellen Degeneres range showcases cheerful, playful seasonal motifs. 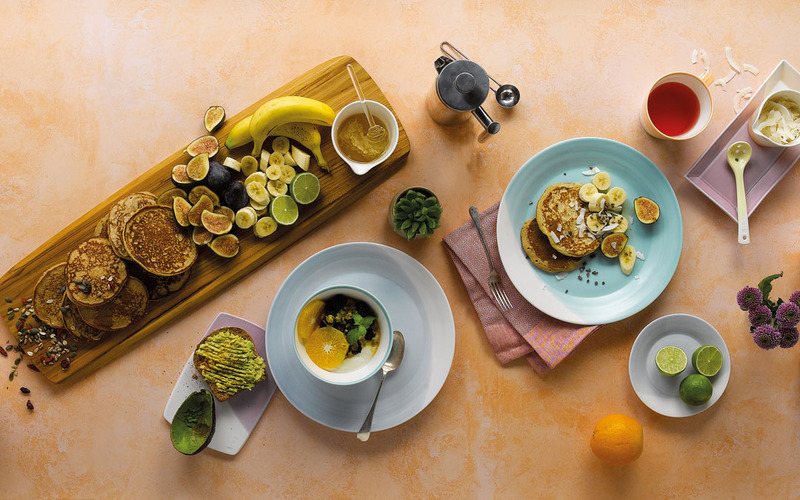 The collection includes a mixture of mugs, plates and bowls, great for the festive season. 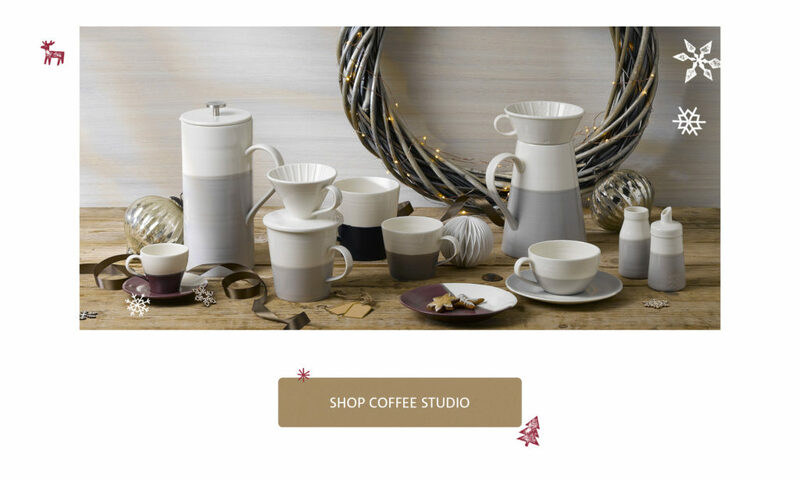 Impress a coffee fan with gifts from our new Coffee Studio collection. Whether they enjoy a steaming hot cappuccino or an energising espresso, there is a selection of gifts that will meet all their coffee needs. The stylish collection is gift packaged and each shaped vessel and design detail is carefully considered, so your bestie can become a coffee aficionado in their own home. 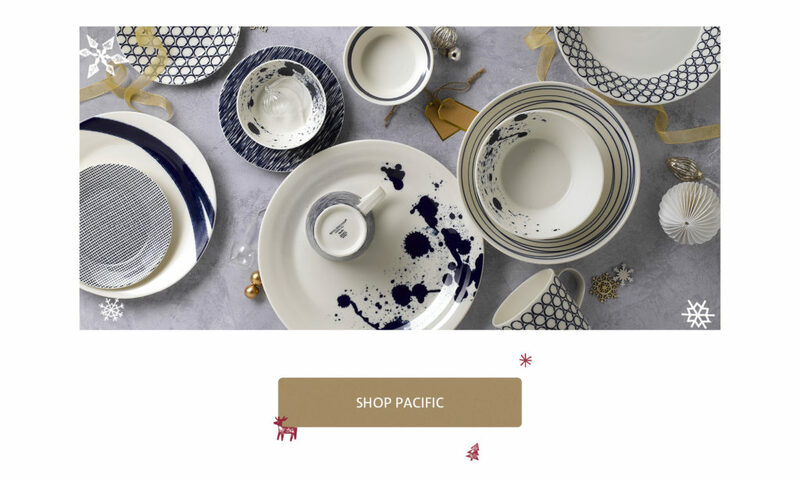 The Pacific collection is a firm favourite of ours, so if you are still thinking about what to buy this is season, this collection will have all the inspiration you need. The extensive range is made up of sets of fours and sixes as well as larger box sets. The six patterns in the collection can be purchased separately or are impressive when mixed and matched. The collection is beautifully packaged for ease of gifting. The R&D collection is perfect for someone who enjoys a cheeky tipple, whether that be a gin and tonic or a refreshing cocktail, this range is for them. 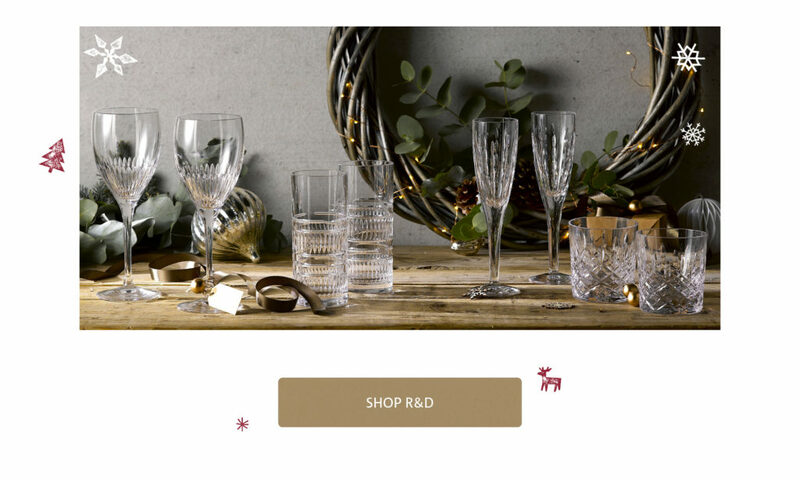 The stylish designs are a contemporary take on classic glassware, and the four patterns are available in sets of two champagne flutes, wine glasses, hi balls and small tumblers. Stylishly packaged, this makes for the perfect gift. 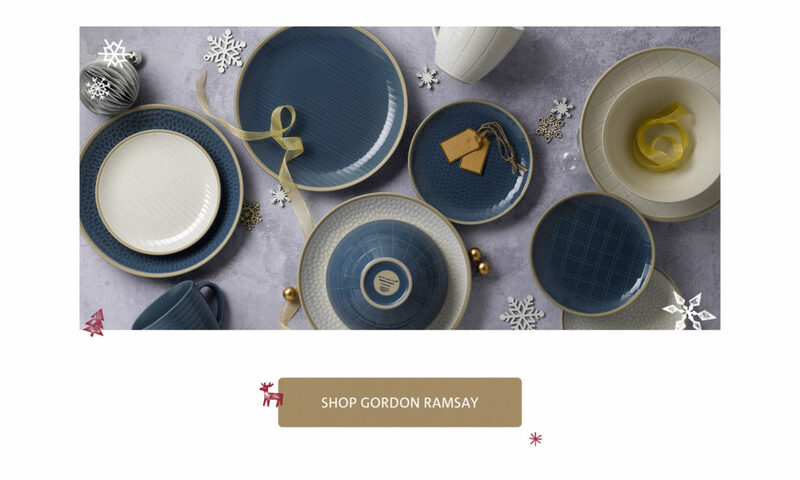 Be the ultimate gift giver this year with the brand new Gordon Ramsay collection. Maze Grill is the perfect gift for someone who loves to cook restaurant style food that Gordon would approve of. Inspired by Gordon’s London restaurant, the collection is available in several sets, all of which are gift packaged for ease of wrapping. 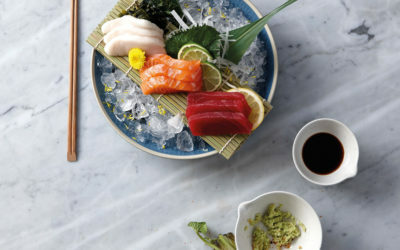 Bowls of Plenty is the ultimate range for the home entertainer. This collection is perfect for that friend who loves to play host over the festive season for serving nibbles and drinks. 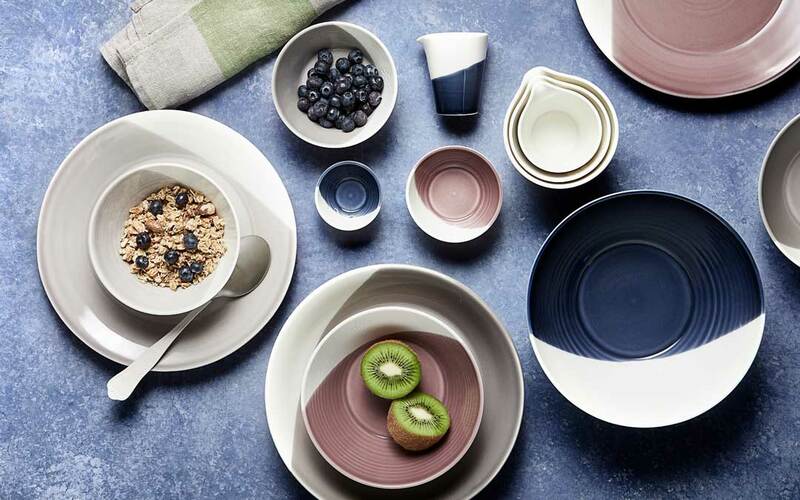 The collection’s half dipped glazes and rich colours are inspired by Royal Doulton’s extensive heritage. If you’re looking for an extra little something for your favourite host, the Coffee Studio collection is the perfect complimentary set to the bowls and dishes. 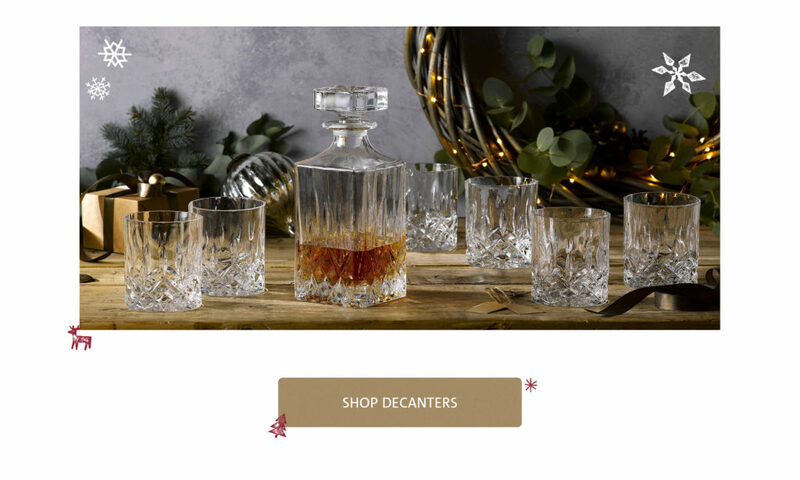 For the whiskey connoisseur, this decanter and double old-fashioned set will make for the perfect present. Whether they’re entertaining a group friends or having a drink with their other half, this stylish set is ideal for enjoying their favourite blend. The collection is elegantly gift wrapped and will be sure to impress this Christmas.